I thought it would be great to divide the list into 3 sections: activities to do at home, close to home, and a little bit of a drive. I hope my list gives you some new ideas and helps you to feel like this summer is one of your best ones yet, too! P.S. There is NO WAY we will get to all of these but it’s great to have plenty of options to choose from. 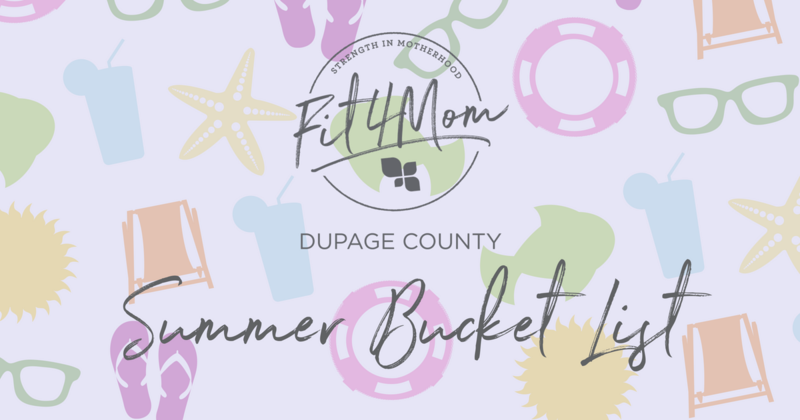 Huge thanks to the mamas on my FIT4MOM DuPage County Instructor Team that contributed, too! Lots of homemade popsicles & snacks! Stroller Strides/Barre at Cantigny! Lunch and playdate after. I’m sure there are many more fun things I missed! What’s on your list that I should add to mine?